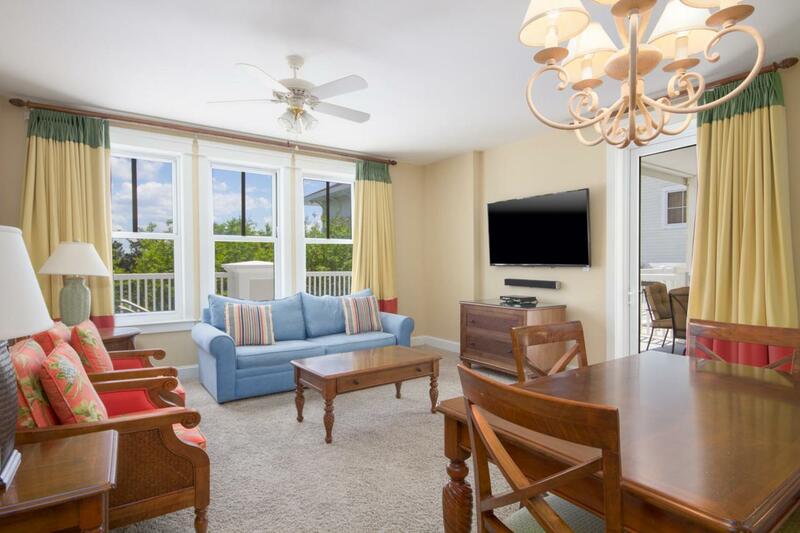 This corner condo with an oversized balcony is perfectly situated steps from the Baytowne Conference Center and activities of The Village of Baytowne Wharf. The prime corner location provides an abundance of windows allowing the sunshine to flood in and embraces the essentials of a second home or vacation rental. The oversized balcony offers a perfect location for entertaining friends and family or simply soaking up the warm Florida sun. Grand Sandestin amenities include a gated underground parking garage, lagoon-shaped pool with kid-friendly sloped entry, hot tub, children's pool, and fitness center on first floor. You're only a quick golf cart ride or shuttle to the beach and the amenities Sandestin Resort has to offer. Completely furnished, rental capable, and waiting for you to enjoy!